It’s a series of moments that have lead Jordan to his 7th Travel + Leisure A-List win. It all started with a big dream in a small cabin nestled in the Patagonian countryside. Here, Tara and Jordan spent many hours, days, and weeks developing their travel company. And today we take a moment to reflect on some of the triumphs and challenges that ultimately make Knowmad, Knowmad. It is not one trip or one decision that defines your company or lands you a spot on the A-List; it takes a culmination of many decisions – big and small, exciting and mundane. These decisions make up our day-to-day and eventually craft our legacy. How does one go about picking a name? It’s a strange concoction that comes together…a little bit impulse, but also thought out. Something that sounds good, but also encompasses meaning. Something that defines you, but also speaks to many. It takes pondering. It takes time. Jordan and I had only a couple of days. Of course, we had been nurturing the seed of what was to grow into Knowmad Adventures for months (or maybe even years). My dreaminess (let’s just live our perfect day over and over again – horseback riding, hammocking, dining on ceviche, roasted lamb, malbecs…) combined with Jordan’s eye for opportunity (Patagonia’s swaths of endless wilderness, a travel industry on the edge of a boom) led us to come up with the concept of running trips in South America. But it was literally within the couple days after our wedding and before we moved to Chile in 2009, with a looming print deadline for our first business cards, marketing slick, and magnet for the car that didn’t exist yet, that we buckled down and got serious about the name. Read full article, “The Story of a Name: Knowmad & Nomad Adventures” here. Rolling into the vineyard I’m nervous. This is a big moment: to be better than our competition it’s imperative that we see first-hand and test all hotels, restaurants, and activities that will be featured on our trips. Great, right? We get to do all kinds of fun things. The problem is these things cost a good deal of money and we’re not aiming to spend our entire savings on nine different vineyard tours. So this is the first big test on whether my explaining who our company is and what we’re doing, coupled with some salesmanship, sharp clothes, business cards, and a marketing flier, will be enough to get us in the doors without cracking the wallet. Before I know it, my mark is fetching his manager…the stakes are raising. Read the full article, “October 26 – Keeping Up With The Jones'” here. A big thanks to everyone who helped make March 2010 an incredible month for Knowmad Adventures! After many months of making strong partnerships throughout Chile and Argentina and designing what we feel are incredible travel experiences, we had our first big wave of travelers come and test the waters. Read the full article, “If You Build It, They Will Come” here. “I almost fainted right there in the Dallas/Ft. Worth customs after landing from Chile,” Jordan says of finding out. “We work really hard and have unparalleled levels of knowledge and operating capabilities in our regions, but we focus much more on the experience and staying on the cutting edge in our destinations than we do on getting press and winning contests, so this came as a huge shock. Not to mention we’re probably the newest and smallest company on the list,” he added. 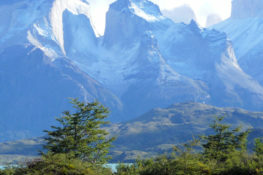 Read the full article, “Best Chile & Argentina Travel Agent & Trip Operator” here. Turns out the old cliche “nothing can prepare you for a baby” holds true. Your life suddenly becomes both as amazing and as difficult as it has ever been. Read the full article, “Motherhood & Knowmad” here. To say the logistics of running trips for over 300 travelers this past year to Patagonia, Machu Picchu, the Galapagos Islands, Iguazú Falls, Antarctic Peninsula, and more far-flung destinations keeps us busy would be an understatement. Read the full article, “Happy Holidays With Love from the Knowmad Team” here. The more I’ve traveled, the more I’ve realized that we’re really into compartmentalizing things here in the U.S. You have your family, your friends, and your colleagues. But what about your mom that’s also your friend? Or your colleague that’s also family? Here we have work, and then we have life. Maybe what we need is a little bit more life breathed into our work? The lines have always been a bit more blurred for me: I am lucky enough to work in travel, my absolute passion, with my life partner and husband. Our team is small and we care well beyond “how was your weekend?” small talk. We’re here for each other for the small triumphs or let downs and the larger, meaningful things – like the birth of a baby or the passing of a parent. Read the full article, “The Casa Oficina” here. And suddenly Jordan and I went from being a couple with a kid to having a real, bona fide family of four. As I stared down at this beautiful little life I felt pure joy and a contented anticipation of the months to come – where I would spend my days and nights nursing, changing diapers, soothing and guiding this babe into her new existence outside of my womb. Read the full article, “Advice for New Moms with Wanderlust” here. As a team, we not only appreciate being recognized on this list, but it also gives us the encouragement and confidence to keep honing our skills, pushing the boundaries, and seeking out the best excursions and activities our region has to offer. Read the full article, “2017 Travel + Leisure A-List Winner” here. Peppered in throughout the last nine years have been some amazing accolades and press features, but it’s not the award in itself that is special, it’s the passing of time that it symbolizes. It’s the, “remember when…” chatter that is sparked at lunch time or at our monthly meetings. It’s the custom South America trips we’re proud we have created, the deadlines we’ve met, and the projects we’ve finished. An award like this is made so much richer because of the meaningful moments in between. Learn more about the Travel + Leisure A-List on their website or check your local store for the September Travel + Leisure print issue featuring the A-List.